City council voted to give a $315,000 loan to developer KB Partners in May 2016 to renovate the problem apartments into new townhomes. It was meant to be a cornerstone project for the burgeoning Incline District, down the street from where KB Partners had built a new wine bar, coffee shop, art gallery and Mexican restaurant. 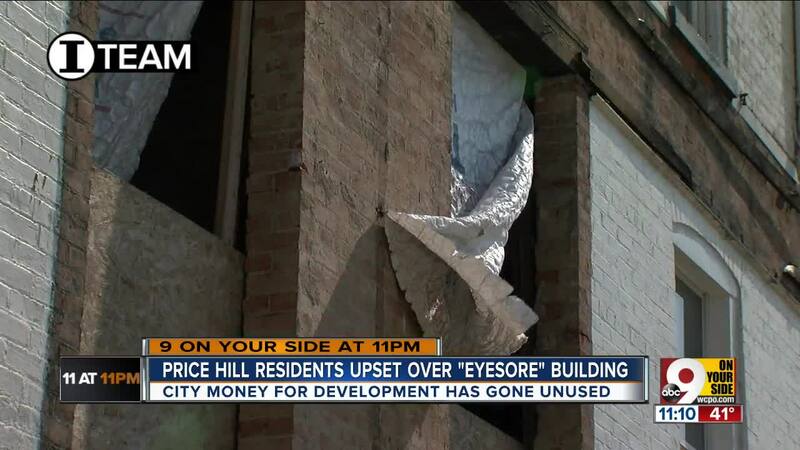 But neighbors say the Price Avenue apartment complex is an eyesore. CINCINNATI -- Denise Yates has lived in East Price Hill for 25 years in a simple row house that was built in 1887. She lives behind a large brick apartment complex at 2911 Price Avenue that was once a hotspot for open-air drug deals and crime. Then the city of Cincinnati got involved. City council voted to give a $315,000 loan to developer KB Partners in May 2016 to renovate the problem apartments into new townhomes. It was meant to be a cornerstone project for the burgeoning Incline District, down the street from where KB Partners had built a new wine bar, coffee shop, art gallery and Mexican restaurant. But neighbors say the Price Avenue apartment complex is an eyesore. What’s been done to this building, more than two years after taxpayers spent hundreds of thousands to help renovate it? Denise Yates, who lives behind the Price Avenue apartment complex, complains about its condition. Photo by WCPO. The owners of KB Partners, Bill Buriwinkel and Tom Koopman, both declined interviews. But neighbors have been outspoken, complaining to WCPO for months about the building's collapsed back porches, falling downspouts and gutters, exposed doors, broken windows, roof line holes and missing chimneys. It got worse in early September when a storm blew the roof off the building. Roofing hit the side of Yates’ house, damaging her gutters and downspouts. “So now when rains, and if it rains real bad, it drips in my house, in my kitchen,” Yates said. When a storm blew the roof of the apartment complex at 2911 Price Avenue, roofing hit Denise Yates' home and damaged it. Photo by WCPO. Cincinnati Preservation Association director Margo Warminski is also concerned about the apartment building. But Art Dahlberg, director of the city’s buildings and inspections department, said his office has been monitoring the condition of the building. “I believe that within the next year or so we’ll start to see substantial improvements," Dahlberg said, adding that owners are waiting for an insurance claim to make repairs. Cincinnati Director of Buildings and Inspections Art Dahlberg. Photo by WCPO. The apartment complex, although vacant and roofless, is still an improvement over the blighted, problem property it once was, city leaders said. 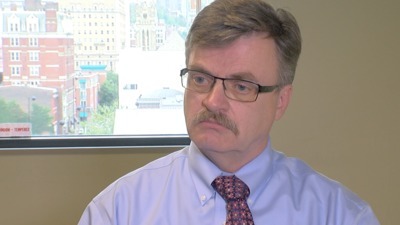 “I remember driving through Price Hill and looking at that particular building and thinking, ‘Oh gosh, that looks like a problem,’” said assistant city solicitor Mark Manning. Since KB Partners has owned the building, police calls have plummeted, Manning said. This property at 2911 Price Avenue as it looked May 16, 2018. The city loaned KB Partners LLC $315,000 in 2016 to acquire the building. Photo by WCPO. “When you look at the crime statistics for the years prior to the current ownership, you would see things like gun arrests, drug arrests,” Manning said. KB Partners has until 2021 to finish the project, under the terms of its fully forgivable loan with the city. Once construction finally begins, Dahlberg believes it will be a “game changer,” for the neighborhood. “I relish the thought of what’s going to happen there,” Dahlberg said. But that’s not how Yates sees it. She has to look at the dilapidated building every day. The front of the apartment complex at 2911 Price Avenue as it looked on Oct. 5, 2018. Photo by WCPO. The fight over the Price Avenue apartment complex has exposed a deep divide between longtime residents and developers in Price Hill’s Incline District. Neighbors complain about lack of transparency. They say the city never asks for community input, instead giving preferential treatment – and plenty of free land – to one developer. In the last 15 years the city has given five properties to KB Partners, and Hamilton County’s land bank has sold the developer eight pieces of land – at no cost, according to data from the county auditor’s website. The city and land bank also sold the developer a handful of vacant land parcels for less than $1,000, often to create parking lots for the new business district. City leaders say KB Partners has a proven track record of developing successful projects in Price Hill. But many residents see it differently. They worry the fate of their neighborhood is being decided by a single developer. Sheila Rosenthal lives down the street from the Price Avenue project. Photo by WCPO. 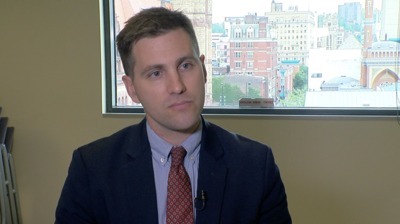 City leaders say KB Partners has invested millions to revitalize Price Hill, taking interest in the neighborhood a decade ago, when no other developer was interested. Cranley points to Somm Wine Bar at 3105 Price Avenue, which opened in 2016. The restaurant’s lighted back patio has a fire pit and water fountain. On Friday nights a jazz band plays. KB Partners developed Somm Wine Bar in East Price Hill in 2016. Photo by WCPO. “Just five years ago you would feel unsafe," Cranley said. "There were shootings on that corner all the time." While residents appreciate these new businesses, they say it’s still no excuse for KB Partners to delay work on the apartment complex. “Certainly they’ve been connected with some positive projects and no one wants to seem ungrateful for that, but there’s a lot more to the story,” said resident Laura Hamilton. “Ironically we’ve paid, as the taxpayer, to help this building along … now it sits here in this state of complete disarray." Neil Shaw, owner of Reds Deli on Price Avenue, would like to expand his store. Photo by WCPO. Neil Shaw has owned Red’s Deli on Price Avenue for 23 years, just a block away from the controversial apartment complex. He’s been trying to expand his business for two and half years, overcoming several city code and planning obstacles. Now he is trying to get financing. He is frustrated that KB Partners gets free land and a large city loan for its developments, while he has to pay for a simple expansion to his deli and grocery store. Red's Deli on Price Avenue is down the street from the controversial apartment complex. Photo by WCPO. But Denning says the city’s development department is willing to work with anyone. Cincinnati's Department of Community and Economic Development Director Phil Denning. Photo by WCPO. Napoleon Givens lives across the street from the Price Avenue apartment complex, and believes his fellow neighbors just need to be patient. 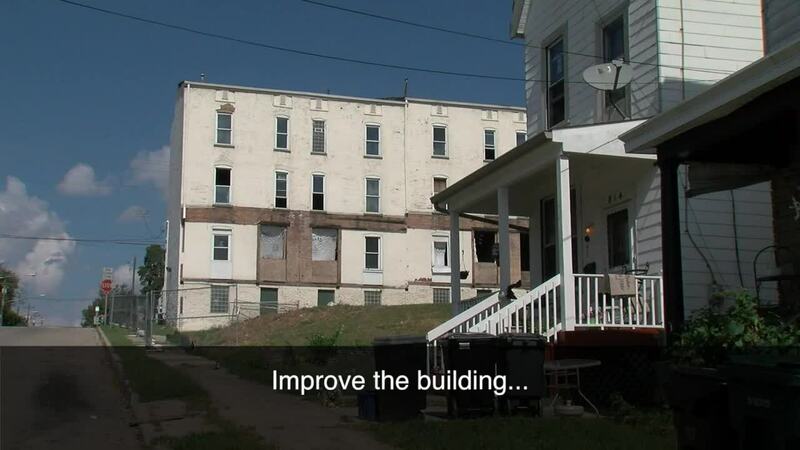 Many leaders believe this is just the beginning of what will be a great revitalization in Price Hill. But they admit that better communication with residents could improve the dynamic here. 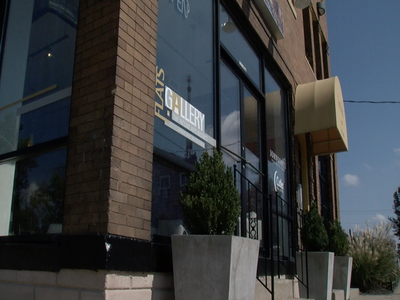 KB Partners developed The Flats Art Gallery in East Price Hill recently. Photo by WCPO. “Community relations and neighborhood relations don’t come naturally to private developers,” said Jeff Cramerding, chairman of the Price Hill Will board of directors. “I think going forward we’ll see more and more private developers, and more and more competition, which is what happens when a neighborhood starts to see revitalization,” Cramerding said. Going forward, the community development corporation will try to encourage better communication between developers and the residents who have lived here for generations.